Falvey Memorial Library :: Foto Friday: Party time! 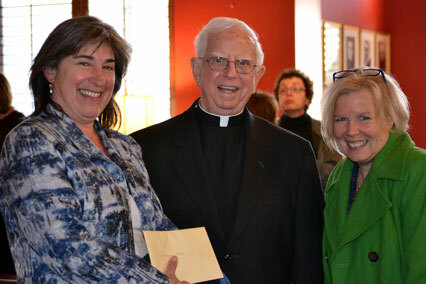 The Villanova University community came together on March 18 to celebrate the Rev. Dennis J. Gallagher, OSA, PhD’s golden jubilee. 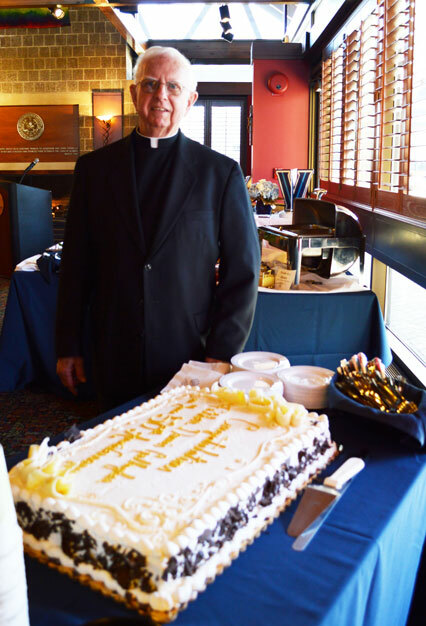 Best wishes, Father Gallagher, for another 50 years! Linda Hauck, the Rev. Dennis J. Gallagher, OSA, PhD, Joanne Quinn. 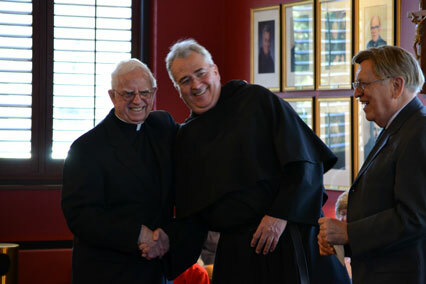 Father Gallagher, University President the Rev. Peter Donohue, OSA, PhD, ’75 CLAS, Interim Library Director Bob DeVos, PhD. Rev. Dennis J. Gallagher, OSA, PhD.